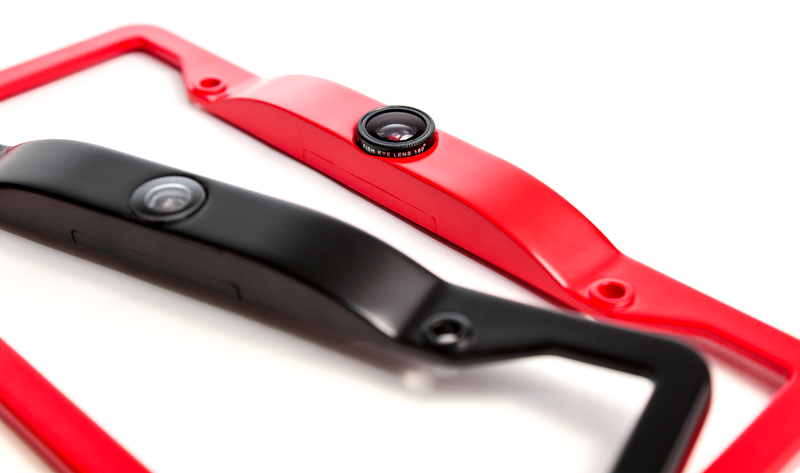 On November 16th, I’m excited to announce the launch of the Fenderhawk smart-camera on Kickstarter. Here are some design thoughts that helped shape the concept of the intelligent automotive security system. What does every car on the road have in common? Want a hint? American drivers stare at these subconsciously for over 1oo hours per year during their commutes. The answer, license plates. Now you might be asking yourself, what’s so important about license plates? Well, when designing a hardware device that fits onto all cars, finding an ideal mounting solution across all vehicle models can be uber challenging. Looking at a vehicle’s tags, more specifically the standard metric for the mounting holes, I see a massive opportunity to make the driving experience safer for everyone while making every car smarter. Car dealers, auto accessory shops, and Elon Musk’s designers at Tesla use license plate frames as billboards, an ever-present brand placement that’s effectively an ad that’s always in the drivers sightline. This isn’t a bad use, but what if designers used this space for something more helpful to motorists? 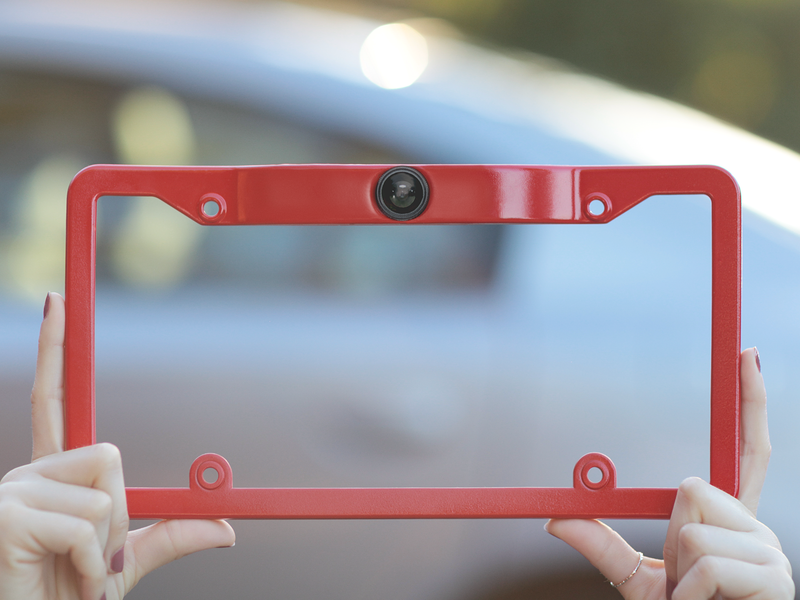 How about a new type of “smart” frame capable of encouraging good driving behavior while helping to keep your car secure and preventing accidents? Say hello to Fenderhawk. To Disrupt or improve current cars? With driving being such a constant part of our daily lives, an interesting question arises for designers, how do we make every vehicle already on the road smarter and safer to drive? various car companies have responded by attempting to disrupt the cars of today replacing current cars with new types of vehicles hoping drivers will rapidly adopt them thus improving things from emissions, performance, and comfort, all the way down to the driving experience. I have test driven a Tesla and, for many reasons (zero emissions — performance), loved it. I’ve seen the cute but uncanny Google self-driving car zooming around silicon valley and it’s a fascinating machine. I, like many others, have heard of Apple’s “Project Titan,” future smart car and I’m deeply intrigued by the possibilities. I already want one and would love to help design one, but with these visionary companies looking beyond the horizon, to a point in which human drivers are mot behind the wheel, they have left open lanes of opportunity to greatly improve driving safety on a global scale. It’s possible with technology we have today, to make the car you drive much smarter and safer, for a fraction of the price. Monitoring and Improving Human Behavior Behind the Wheel. You return to your parked car to find there is now a nasty scrape or dent in your vehicle and you have no information as to who, what, when, where, why, or how your car was hit. Another all too common scenario is one in which you’re parallel parking, backing into a spot, when you slightly misjudge how much space there is between you and the car at your rear. The crunch of twisted metal means it’s too late to stop and there’s now damage to both vehicles. You embarrassingly find another spot and assess the damage. I have experienced both of these scenarios and observed a common issue that contributes to the occurrence of these frustrating parking collisions. It is due to the lack of information supplied to drivers about the position or status of their vehicle. A driver not knowing how much space there is between vehicles, or not knowing what caused a newly discovered dent, along with dishonest drivers that flee the scene thinking there were no witnesses to them bumping into a car has sent the number of hit-and-runs in recent years rising on a dramatic uptick. Five years ago, while examining the freshly dented rear fender of my car, I asked myself the question which sent me down the path of designing a device that could help solve this lack of information between car and driver and improve vehicle security & safety for all cars on the road today along with the vehicles of tomorrow. Many cars today can tell you when you need an oil change, if your spark plugs need to be replaced, and some can even parallel park themselves, but why doesn’t the driver get any information if they are sitting in a café and their parked car is hit? Some vehicles try to let all within earshot know by sounding an uncomfortably loud car-alarm but, ironically, a system that was designed to bring attention to the incident is usually ignored. This design of the car-alarm system can be greatly improved by facilitating better communication between car and driver. I drive a modern car yet when my car senses a tire has lost pressure, it doesn’t tell me which tire, it just displays a light and expects me to check all my tires to find the fault or take it into a mechanic who can link up with the cars on board computer. As a car owner I want the most information possible on who hit my vehicle if there is a collision. For insurance reasons I want clear video of before and after the impact, I want the license plate number, and to be notified immediately via my smart phone no matter where I am. I also want other drivers to know that if my car is bumped they will be captured on camera. 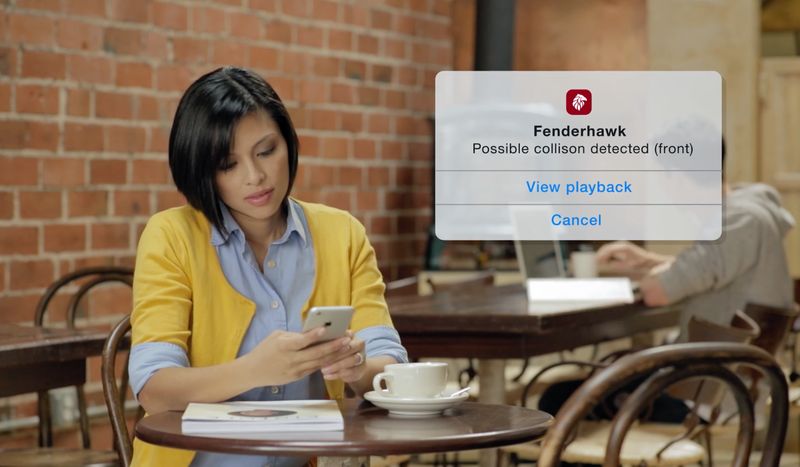 As an added bonus I want my current car to also provide me with rear and forward facing cameras that link up with my phone and provide parking assistance to protect me from hitting anyone else’s car (especially if they have a Fenderhawk camera installed!). No product that does this exists yet, that’s why I decided to start work on creating Fenderhawk. 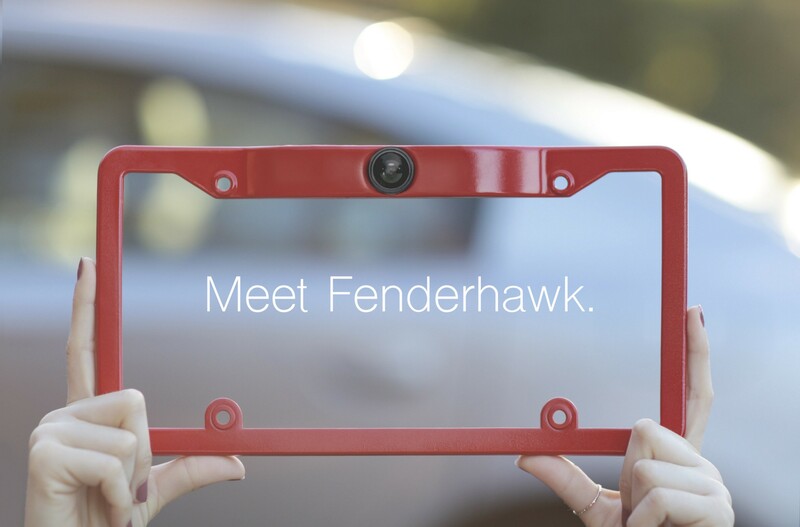 Fenderhawk is an easy to install, smart security system and parking camera for any vehicle. 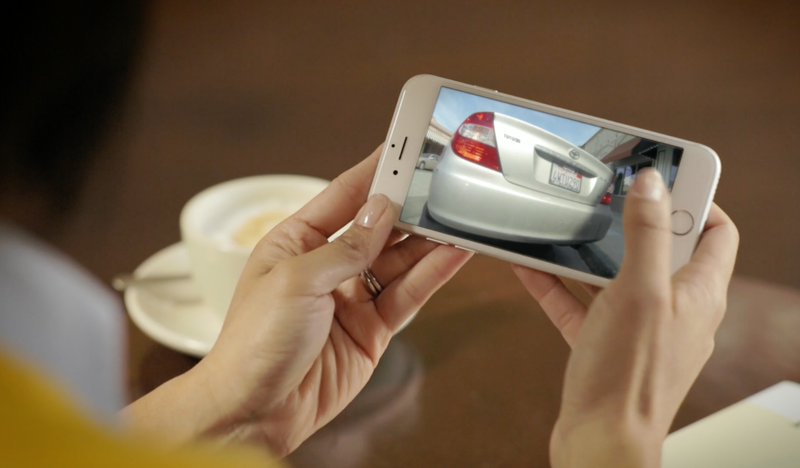 It helps you park safely and sends alerts to your phone if your car is ever bumped. 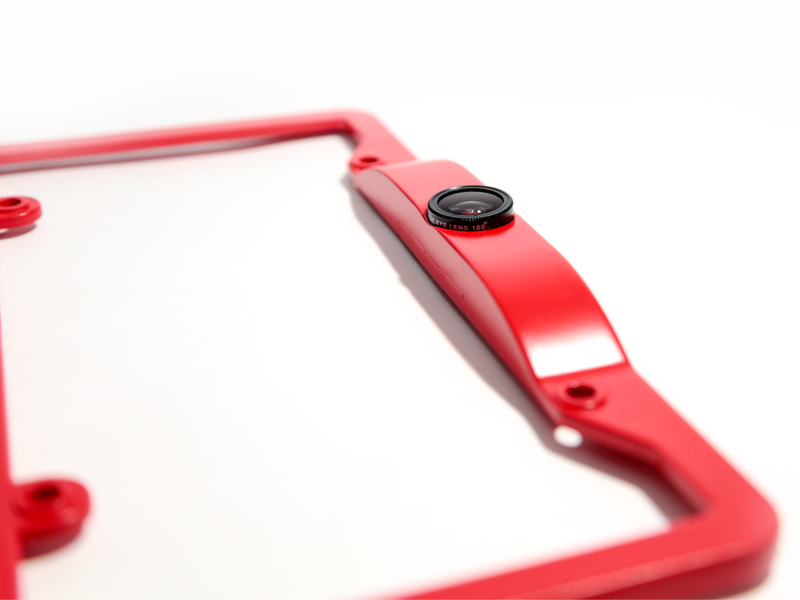 For video, pictures, and more info about the Fenderhawk camera and app, and how it works, please visit our Kickstarter page. If you like what you see, and want some smart frames for yourself, or as a gift for a friend, go ahead and become a backer. In the not-so-distant future I see all cars being equipped with a smarter system that communicates detailed vehicle status to the driver via a smart device coupled with the on board computer. I imagine it will be a bit like a sci-fi space show, when a sheild or part of a spacecraft is damaged, there is immediate knowledge of which part has been affected. Vehicles will have many more sensors to help inform drivers of what exactly needs attention and what has happened. Even self driving cars will have collisions and owners will need to know what happened during a trip. If every car could capture before & after a collision on video and every vehilce was equipped with smart parking cameras I see driving saftey increasing while the number of hit and runs being drastically reduced. I also can imagine drivers being on their best behavior while opperating a vehicle since any collisions would be captured. Less collision on the road, the safer it is for everyone.